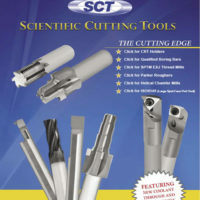 What’s New » Rovi Products, Inc.
It’s never been easier to order Scientific Cutting Tools (SCT) online than it is now. 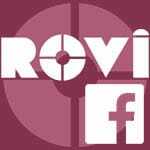 Through the Rovi website, you’ll be able to order the exact part you need faster than ever. If you would like to see how easy the process is, please click here. 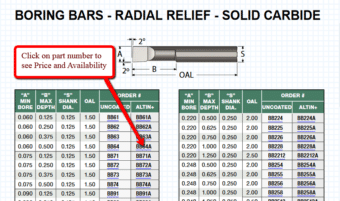 Find the tool that best fits your application and click on its part number. 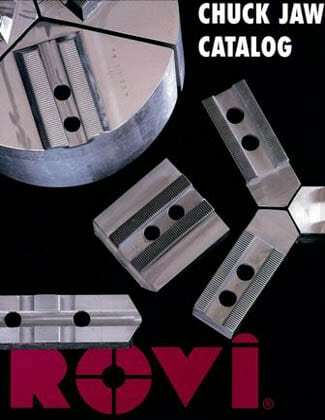 You will be taken directly to a page that shows you that tool and its pricing and availability. You will even have the option to place your order directly there. 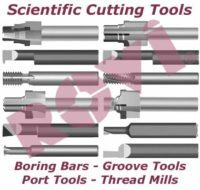 The following is an article that was published by Modern Machine Shop, and written by Mike Lynch Founder and President, CNC Concepts Inc. I liked it, so I thought I would share. “For external clamping, subtract the amount of material you’ll be removing from the jaw from the diameter just determined. For example, to clamp on a 4.0-inch diameter using soft jaws, with about 0.1 inch of material to be removed from each jaw, the mounting diameter will be 3.55 inches (4.0 inches minus 0.25-inch jaw stroke minus 0.2 inch of stock—twice the amount of stock to be removed from each jaw). 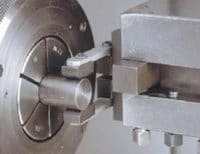 Once you have determined the diameter at which the current clamping surface of each jaw must be mounted, you can make the long boring bar point to this diameter. To do so, calibrate the boring bar’s pointing diameter with the X-axis display. With the X-axis display calibrated, use the handwheel to bring the tip of the boring bar to your calculated clamping diameter. Then bring the tip of the boring bar up close to the chuck face. Use the tip of the boring bar to determine which serration each jaw should be mounted in. You may have to move the boring bar away in Z (but do not move it in X) in order to actually mount the jaw. Repeat this procedure for each jaw. When you’re finished, each jaw will be in the same serration. 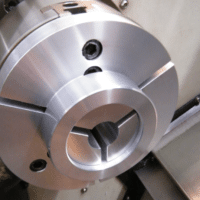 With hard jaws, the chuck will be in the middle of its stroke when the workpiece is clamped. However, if you’re mounting soft jaws, they must be machined. When you’re finished machining them, they will clamp on the workpiece in the middle of the chuck stroke. 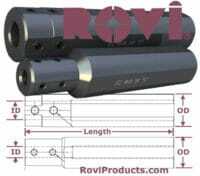 From time to time, we get requests to make special Chuck Jaws (to fit a customer’s specifications). An example would be an application that requires a jaw that is larger than what we sell off the shelf. We can create custom make jaws up to 9” tall out of steel or aluminum for those applications that require more gripping surface. 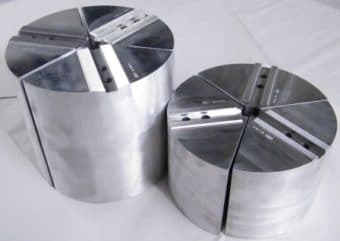 If you need a set of jaws that require holding a part larger than the diameter of your chuck, we can provide jaws that can overextend beyond the chuck diameter –enabling you to grab larger diameters. 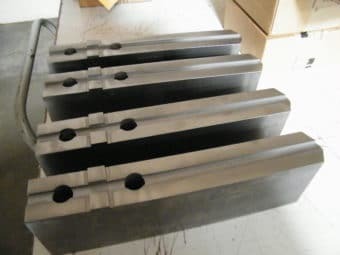 We also provide Custom Aluminum Full Grip Jaws. 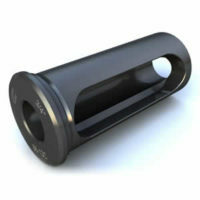 An example would be a 12” diameter full grip jaw to fit an 8” chuck, or having a full grip jaw with an extended length. Below are some photos of custom designs that we have created. 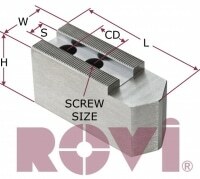 Special order jaws are usually delivered within 2-3 weeks from receipt of an order. So if you find yourself in need, do not hesitate to contact us for more info. (800) 423-5145.